Charles W. Bamforth is Head of Malting and Brewing Science, Department of Food Science and Technology, University of California, Davis, USA. 1 Beer as Part of the Diet. Beer: a nutritious dish for the whole family. 3 The Basics of Malting and Brewing in Relation to Product Safety and Wholesomeness. Basic outlines of malting and brewing. 4 The Basics of Human Nutrition. 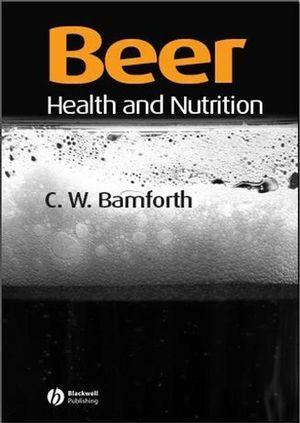 5 The Composition of Beer in Relation to Nutrition and Health. Comparison of beer with other foodstuffs for nutrient value. Potentially deleterious components of beer. 6 The Impact of Alcohol on Health. The liver and the digestive system.